As a collector, it’s frustrating to conduct the hunt for your particular type of antique amid reproductions, fakes or all those millions of items that faintly resemble the real thing, whatever that might be, and which vendors everywhere continually offer for sale in the hope that they catch the interest of some collector, somewhere. A short walk through most flea markets should be sufficient to convince you that the barrier to entry into the business of selling antiques and collectibles is so low as to be barely off the ground. Other factors, like price, may put objects you desire beyond your reach. Price is most always aligned with quality. If you’re buying a quality item, you should expect to pay for it. Sure, there are pleasant surprises when you find a quality item for far less than it should be worth. That’s why we’re all out there hunting. There’s an extra element of excitement that comes with this sort of “find”. Knowledgeable dealers understand the significance of “quality” and they strive to stock desirable items. Don’t be hesitant, assuming you can afford it, to step up and buy a quality item from a dealer. However, before you pull the trigger on the purchase, make sure you understand, completely, the attributes of the piece. The reason why the price of some antiques and art escalates is that the awareness and understanding of work by a certain artist accelerates over time. More and more people, including dealers and collectors, come to realize the significance of what a particular artist was attempting to accomplish at a certain point in time and their success in doing so. 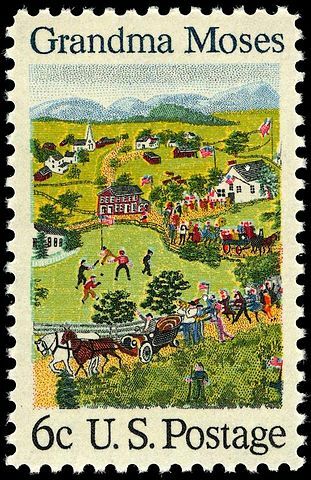 I’d love to own a Grandma Moses painting, for example, but with entry level pricing on good examples running at $75,000, I’m not likely to acquire one unless by accident. The same can be said for 18th century Quebec furniture, Shaker pieces, Tiffany lamps, or Gustav Stickley furniture. The quality of these pieces is such that over time it shines through for people and drives the prices up as demand increases to a point where only collectors with the deepest pockets can collect them. This fact leaves early collectors of those pieces in the wake, unable to afford to buy them. I may not be able to buy certain art and antiques but as a collector I should understand their significance and the associated trend, if any, associated with them. In the context of my collecting, I should strive to understand, why a Shaker harvest table can sell for $150,000? 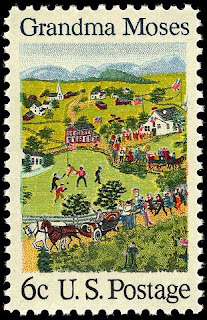 Why paintings by Grandma Moses sell for $100,000? Why an Addison Model 5 radio is worth several thousand. Understanding the underlying design, form, color, the factors which make an object desirable, will help you realize greatness in another object as yet unheralded. It’s not surprising that many superb collections were put together on the advice of dealers working closely with a collector who had the desire and the necessary funds to underwrite the cost. Dealers know the sources for excellent material and, more importantly, they know what makes a great piece – great. Advanced and experienced collectors also know quality and they are always ready to spring into action when they see a terrific piece to add to the collection. Your budget may constrain you but regardless of that fact, one can still find quality antiques at an affordable price especially in the turbulent economic times in which we now live. The key is to be patient and to know in detail what defines "quality" in the objects that you strive to collect.